For many people, the benefit of placing a loved one in a nursing home is the provision of constant supervision and care. When presenting their facilities to you, nursing home managers offer every assurance that your family member will be provided with the utmost respect and attention. However, in far too many situations, those promises are not kept. Residents are not only neglected, but they may even be forced to endure heartbreaking abuse. Burn injuries are not commonly associated with nursing homes, but they happen all too often, particularly when staffers fail to properly supervise residents or neglect to help residents avoid these injuries. At Taylor & Ring, our knowledgeable Los Angeles nursing home injury attorneys fight nursing home neglect in all of its forms. That includes burn injuries that could have been avoided if facility managers took proper precautions to employ a proficient, well-trained staff. We seek compensation for your loved one’s suffering and medical needs, while we also fight to hold negligent nursing home companies accountable. Do not let your loved one suffer in silence. Bath or shower water that is too hot. Staff members have an obligation to ensure that the water used for bodily cleaning is prepared to a reasonable temperature. According to the Burn Foundation, 140° tap water can cause serious third-degree burns after only five seconds of exposure. For an elderly person with delayed reflexes or an inability to communicate, this type of incident can lead to catastrophic injuries. Food or drinks that are too hot. Staff members are also responsible for ensuring that food and beverages are not too hot before serving them to a resident. Microwave oven usage commonly creates hot spots, where the temperature is substantially hotter in one area of the food or drink. Food preparers should carefully check food temperatures, especially when using a microwave. Hot beverages like coffee and tea can also be hazardous for residents. Not only can they cause serious injury to the resident’s mouth, but spilled liquids can also scald other areas of the body. Exposed electrical work. When nursing homes are not adequately maintained, residents may be exposed to any number of burn injury hazards. Exposed electrical wires can cause shock or electrocution when touched by an unsuspecting resident. These are also fire hazards that, when left in disrepair, can place all residents of the nursing home in danger of a wide-spread fire. Facility managers have a duty to correct and repair exposed electrical wires at initial discovery. Inadequate supervision of smoking residents. Responsibility for the care of nursing home residents also extends to protection against the actions of other residents. When facilities allow residents to smoke, staff members should closely monitor to ensure that it solely occurs in the designated area. Smoking in bed or in a room with oxygen tanks can prove particularly hazardous. Staff must also ensure that smoked cigarettes are disposed of in a proper manner to avoid additional dangers. Spilling cleaning chemicals. Cleaning can also create a burn hazard within nursing homes when staff members negligently spill cleaning chemicals onto a resident or allow residents to come in contact with these dangerous substances. The strong chemicals used in cleaning supplies can cause severe burning of the skin. If a resident ingests the product, burns can also occur within the mouth and throat. 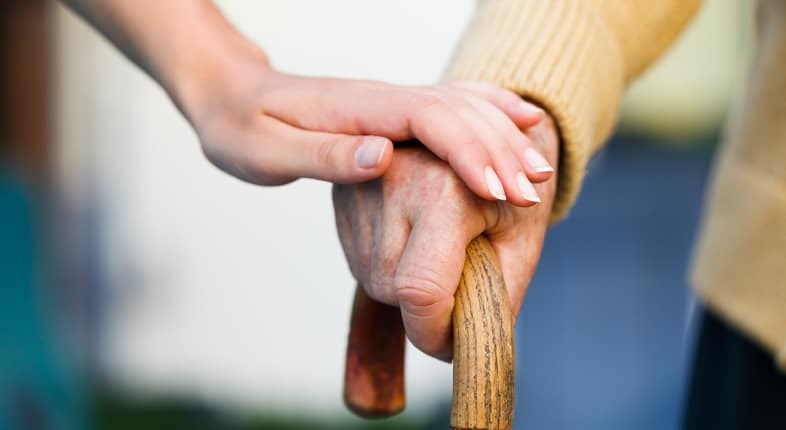 Our skilled Los Angeles nursing home negligence lawyers have helped numerous family members fight for the rights of their loved ones in nursing homes or assisted living facilities. We know that many of these harmful accidents occur when residents try to take matters into their own hands in response to being ignored or mistreated by staff members. We believe in sending a message to nursing home companies that choose money over the care that they are responsible for giving. When these facilities fail to hire enough staff or to properly train the staff that they do employ, our fearless litigators hold them accountable for their injury-causing negligence and abuse. We are proud to advocate for the vulnerable members of our community. Let us speak for your loved one. While families count on nursing homes to care for their loved ones around the clock, Taylor & Ring fights to make those nursing homes uphold their obligations. If your loved one is suffering from a burn injury or any other injuries caused by negligent nursing home staff, complete our contact form or call 310-776-6390 to schedule a free initial consultation.